People often underestimate the amount of savings they need. While you can take pride in earning enough to pay your bills, financial experts say you should aim higher. You need to set aside two types of savings: retirement money and a rainy-day fund. Your retirement fund contains money you never touch until retirement. Your rainy-day fund covers you in emergencies. Look at each category separately so you can understand how much to put in each type of account. According to the Bankrate website, you should set aside 10 percent of your earnings each year, starting in your 20s, to build a nest egg for retirement. Assuming you earn interest at a 5 percent average rate over the years, this savings rate will allow you to live on retirement income that is about 70 to 80 percent of your pre-retirement income. A lot of assumptions go into those figures. For example, one assumption is that your retirement would start at age 65. Another assumption is that you never raid your retirement savings. Nevertheless, the 10 percent savings figure over a lifetime of savings offers a rough guide. According to CNN Money Watch, you need one times your annual income in retirement savings by age 35, three times your income by age 45 and five times your income by age 55. At these savings amounts, you could live a retirement lifestyle similar to the one you had while working. The Internal Revenue Service allows "catch-up" contributions to a traditional individual retirement account or a Roth IRA. Retirement accounts have penalties for early withdrawal to discourage you from using retirement money for emergencies. According to Equity University, you can contribute up to $6,000 per year after age 50 and still get the tax breaks of either type of account. If you have a Simplified Employee Pension plan, often called an SEP, you can set aside $50,000 per year at any age. An SEP is designed for self-employed people. With a Savings Incentive Match Plan for Employees -- or SIMPLE IRA -- those over age 50 can set aside up to $14,000 per year, and with a 401k or a Solo 401k, you can set aside $22,500 per year after age 50. These figures are current as of November 2012. Bankrate quotes Gail Cunningham of the National Foundation for Credit Counseling as saying you should set aside enough money in a savings account to cover nine months of expenses in case you lose your job. That will cover you during your job search and keep you from living on credit cards. Expenses are not the same as income. You should look at your actual expenses, without luxuries, to determine the amount of money you need to set aside to keep afloat without employment income. Your retirement account can contain combinations of stocks and bonds and earn as much as 6 percent each year, according to Steve Vernon of CNN's Money Watch. As you approach retirement age, you can move as much as 70 percent of your money into interest-paying bonds. Bankrate recommends distributing your rainy-day money among savings accounts and bonds. CNN Money: How can I Keep My Standard of Living Throughout My Retirement? Forbes: How Much Should I Save Toward Retirement If I'm Starting Late? 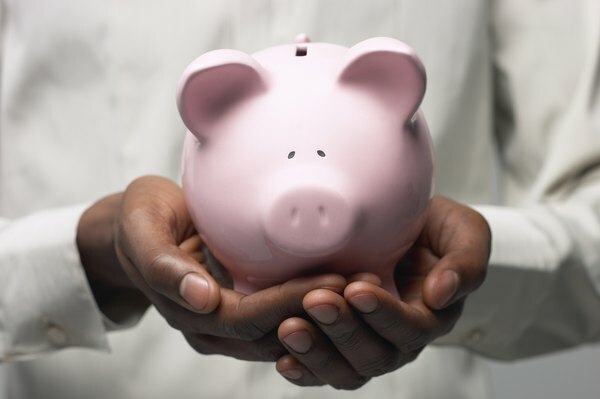 Get Rich Slowly: How Much Should You Have in Savings? Bankrate: How Big Should Your Emergency Fund Be?